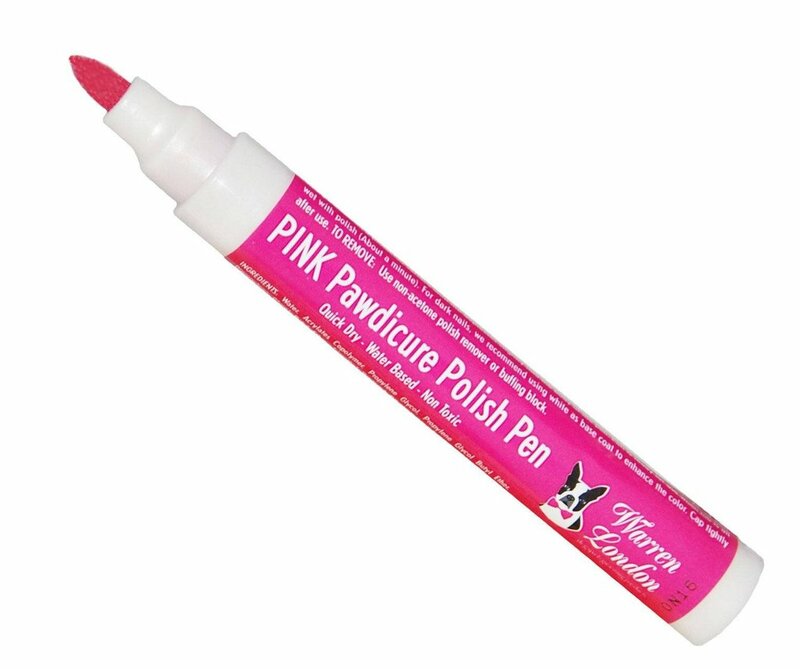 Exclusive Warren London patented Pawdicure Polish Pen is water based, odorless, non-toxic, and dries in under 40 seconds and is great for nail art! Available in 13 Colors! 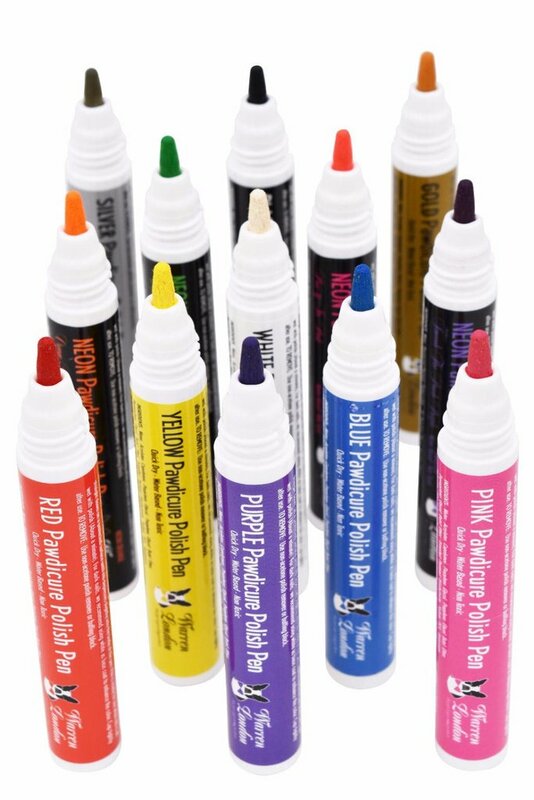 Red, Pink, Purple, Blue, White, Yellow, Black, Silver, Gold, Neon Pink, Neon Purple, Neon Green, Neon Orange Warren London Nail Polish Pens apply a quick drying, non-toxic, coat of polish that is easy to remove. Only one layer application is necessary for that great look for your pampered pup. On dark nails, try doing a base coat of white first and then a second coat of the color of your choice for best results.